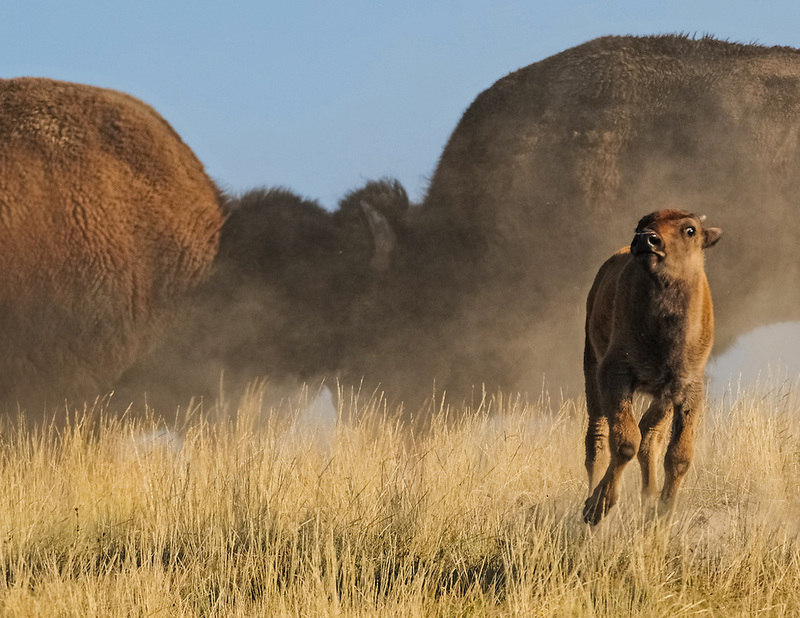 During August, the deep, rumbling sounds of the bison rut can be heard throughout Hayden Valley as these one-ton giants gather for this annual ritual. These two bulls go head to head to determine who will sire next season's calves. The best this young calf can do is to get out of their way so as to avoid injury.